يقع فندق Hi Craft Motel، المصمم ليناسب كل الضيوف سواء كانوا من رجال الأعمال أو السياح، في مكان ممتاز في أحد أكثر المناطق تفضيلاً في بالينا. يمكن من هنا للضيوف الاستمتاع بسهولة الوصول إلى كل ما تقدمه هذه المدينة النابضة بالحياة. يوفر الفندق بفضل موقعة الجيد وصولاً سهلاً إلى أهم معالم المدينة.
. إن الخدمات الممتازة وحسن الضيافة العالي في Hi Craft Motel تجعل إقامتك تجربة لا تنسى. يمكن الاستمتاع بمجموعة من الخدمات على أعلى المستويات في الفندق كمثل واي فاي مجاني في جميع الغرف, واي فاي في المناطق العامة, صف السيارات, غرفة عائلية, مرافق للشواء. في الفندق غرف نوم يتجاوز عددها 26، كلها مجهزة بعناية وجمال وبعضها مزود بـ تلفزيون بشاشة مسطحة, اتصال لاسلكي بالإنترنت, غرف لغير المدخنين, مكيف هواء, تدفئة. إن مسار جولف - ضمن 3 كم, حمام سباحة خارجي, صيد السمك هو المكان الأمثل في الفندق للاسترخاء وتفريغ طاقتك بعد نهار طويل. إن Hi Craft Motel هو مكان مثالي للمسافرين الذين يتطلعون إلى الراحة والاستجمام في بالينا. it is located close to shops and restaurants. It reminds me of the road side hotels of the 60's. It has what you need and decor from the past. Staff are friendly and it is priced accordingly. The room was dirty, needed repairs, smelt awful to the point I asked for some room freshener. I have stayed in some ordinary hotels before but this one takes the cake would never go back. Only stayed overnight but it suited the situation. 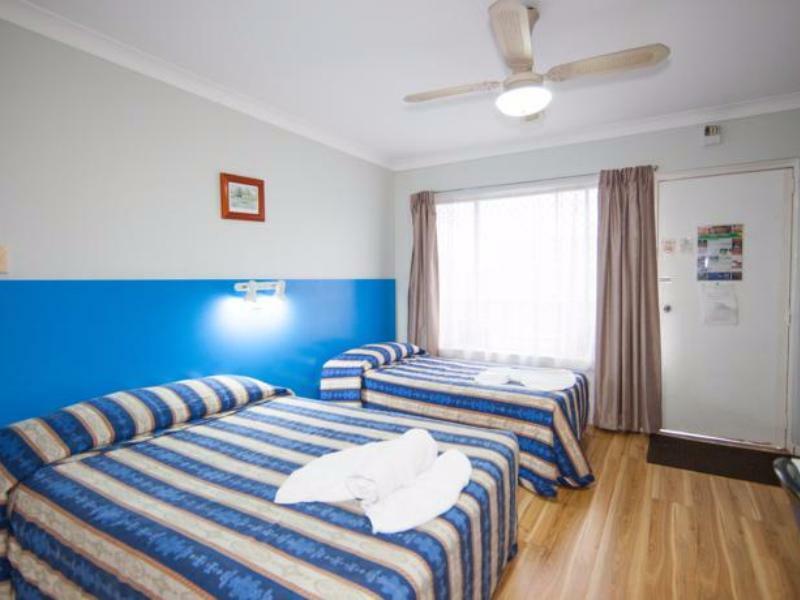 A good, clean motel, well situated for access to town and RSL Club (good meals). Booked online with Agoda - for a deluxe room - but got there and they had trouble finding paperwork, and gave me a standard unit. When I showed the Agoda paperwork they were able to give me a deluxe room (only difference really is a queen bed not a double, but the queen wasn't much longer than the double). Room was clean and functional. Some highway noise, esp rooms near the main road. 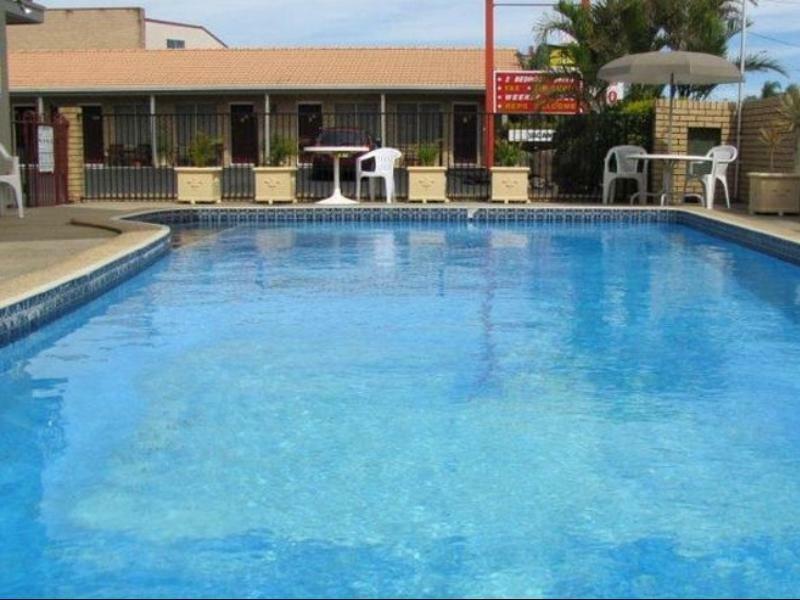 Well located in Ballina and walking distance to the main part of town. Each room has its own marked parking spot. The facilities were adequate and generally clean but some of the fixtures were a bit dated and could do with a spruce up. 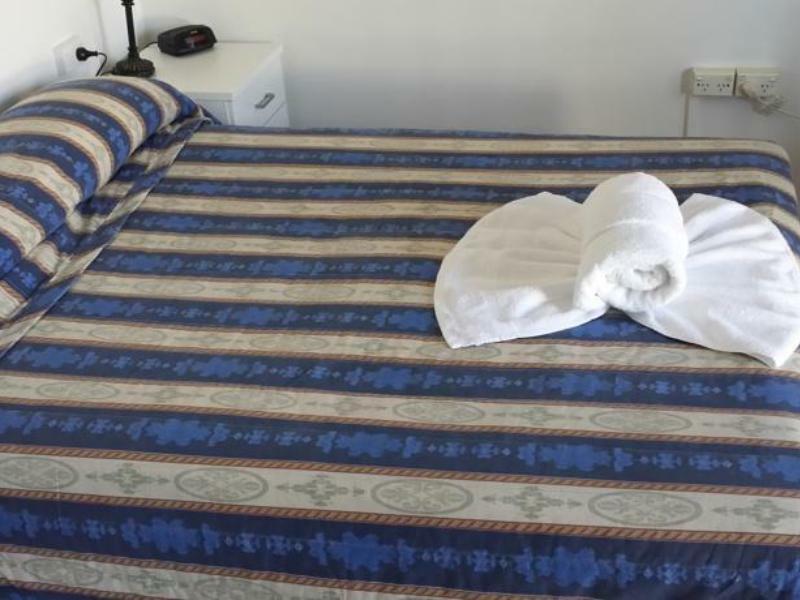 Overall good value for money for its location. Reception was not staffed overnight as advertised, it then took a while for staff to find our reservation. Cheap option for a night when driving. OK, though condition of Motel is in need of repair. EG- wardrobe door hinges hanging off, kitchen cupboard door hanging down. Bedside tables damaged and also no power near bed and I have to use a CPAP machine, so had to go and buy a 3m extension cord. We stayed for three nights. 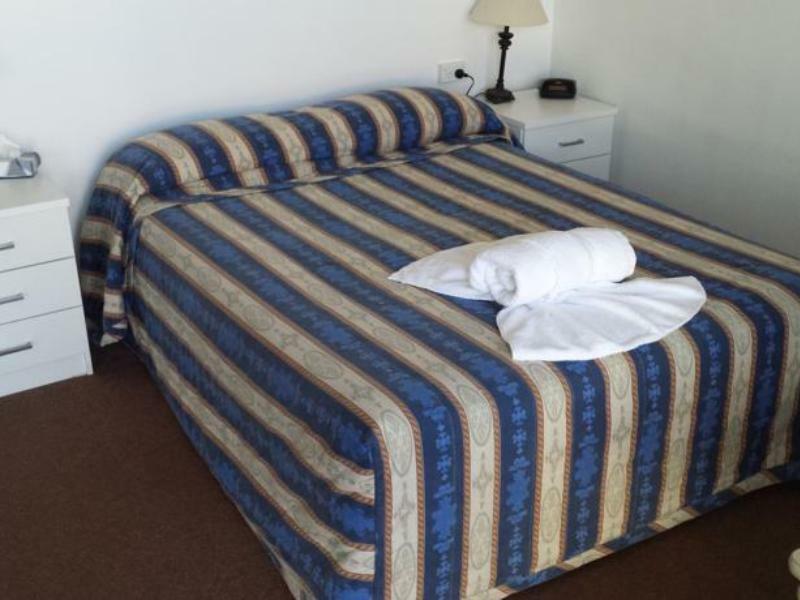 The booking process was easy, although we were given a double bed when we actually wanted two singles. No problem for the staff who fixed this right away and gave us the correct bedding. 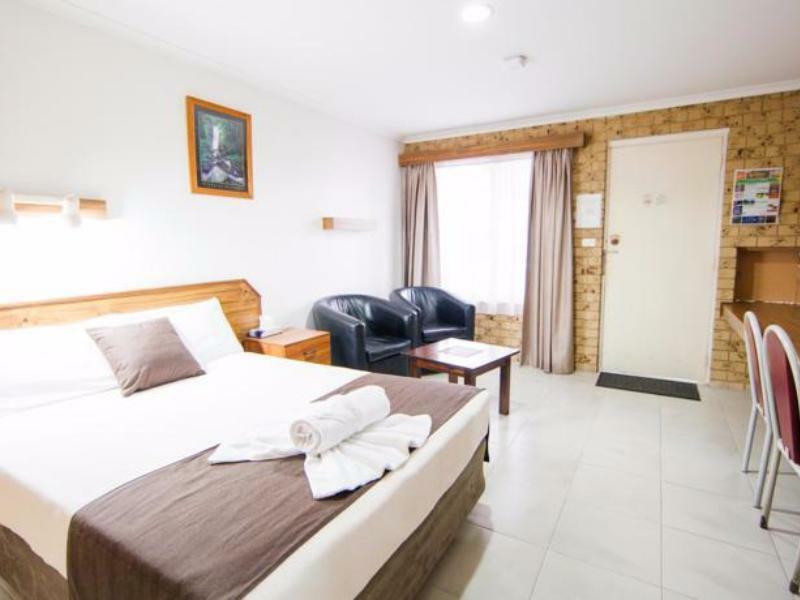 We were able to cook using the microwave, the staff were very helpful, the location was good and handy to the club, restaurants and shopping centres. Our stay was only overnight. The hotel was clean but a little tired, but was convenient for our stay. The motel was a reasonably priced hotel and suited us, though I wouldn't use it for a holiday. Great for people transitting. Was exactly what we needed. Catered to all our needs. 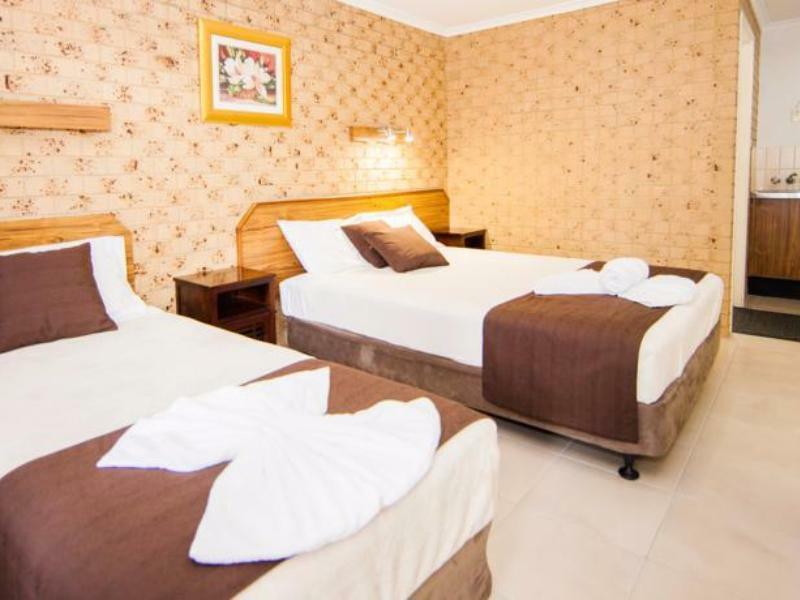 My brother & I needed a cheap place to stay for two nights that was close to Bailina CBD. I would only recommend this motel to someone who was looking for a bed to sleep in & nothing more. This place was very cheap & the facility was as we expected.